Such is one of the favourite sports of many tourists visiting Scotland. 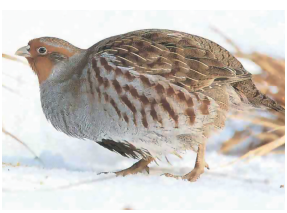 Here some of the most varied birds can be found, including in particular the common quail, common pheasant and, above all, the grey partridge. But the hunting grounds need to be supplied with these small gamefowl! A European company had delivered 32 000 euros worth of partridges to an English breeder and was quite rightly demanding payment. The client refused to pay, on the pretext that the delivery did not correspond to the number of birds ordered. After numerous exchanges, claims made in vain and then the obstinate refusal of the debtor to pay what he owed, Cabinet d’Ormane, after being called on by its client, recommended negotiation between the parties. Indeed, this trans-European conflict based on different interpretations as to the volume of partridges transported could not have been resolved by legal proceedings within a reasonable timespan. The dispute would have dragged on and incurred lawyer’s fees and other very high administrative costs. All of which without even the guarantee of a favourable, enforceable decision from the Court. Cabinet d’Ormane, in its role of “facilitator”, brought the various points of view together. It demonstrated proof validating the arguments made by both parties in the dispute and then proposed an amicable transaction. A fair solution was found to the dispute, which arose from a disputed count of the number of partridges, thanks to the diplomacy and firmness demonstrated by Cabinet d’Ormane. The two companies then continued with their commercial relationship, to the delight of all huntsmen!